Because of the way our Galaxy radial tires are constructed—with steel-reinforced sidewalls and a special belt package—they are far more resistant to punctures in the tread area than their bias-ply counterparts. Although, bias-ply tires have an advantage when it comes to sidewall cut resistance. Furthermore, since radials are built in two parts that are designed to work independently of one another, they are commonly more repairable than bias-ply tires when punctures do occur. In addition to improved puncture resistance, radials also traditionally offer a longer service life than bias tires. Thanks in part to their flexible sidewalls and large footprints, radials tend to wear more evenly and dissipate tire-killing heat better than bias tires. Better puncture protection and longer service life translates to less downtime for your machine—and keeping machines working is key to the overall productivity and efficiency of an operation. Since the method in which radials are built allows the sidewall and tread to work separately from one another, radials have a larger, more even footprint that distributes the weight of a machine more evenly. One of the key benefits of a bigger footprint is better traction—and the advantage is further amplified when paired with features like the innovative stepped lugs on our new Galaxy LDSR 300 radial. The stepped lugs provide more biting surface on each lug, and, as the tread begins to wear down, the lugs get wider, which increases the rubber-to-void ratio and slows wear. Thanks to the improved flotation a radial’s large footprint provides, the tire experiences less rolling resistance than a bias-ply tire and improves the fuel consumption of equipment. Better fuel economy is compounded by the improved traction and reduced slippage provided by a radial tire. High-horsepower equipment is only as good as its ability to put its power to use. Because a radial tire puts more tread in contact with the ground and experiences less slip, horsepower is more efficiently transferred—allowing operators to take full advantage of their machines. The flexible sidewalls found on radials absorb more impact than bias-ply sidewalls, lessening the pounding put on equipment and reducing replacement and repair costs. Impact absorption isn’t only good for equipment, it’s also a fantastic benefit for people. With their smooth ride exposing operators to fewer shocks and jolts, our new Galaxy radials are sure to increase the productivity of both your equipment and your workforce. Longer life, less downtime, improved fuel economy, and increased efficiency and productivity all equate to a low total cost of ownership. 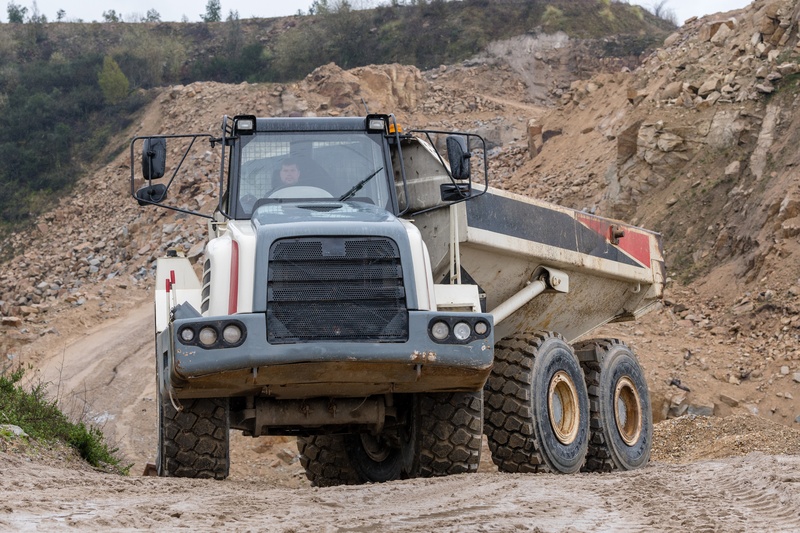 When you consider these tires are also easier on your machines and people, it's easy to see why radials are becoming a fixture on modern construction equipment. If you’d like to learn more about our new line of Galaxy Radial OTR tires, contact your local ATG dealer today!